There is this one way for the purification of beings, for the overcoming of sorrows and griefs, for the going down of sufferings and miseries, for winning the right path, for realizing nibbana, that is to say, the four applications of mindfulness. Thus have I heard. At one time the Lord was staying among the Kuru people in a township called Kammassadhamma. While he was there, the Lord addressed the monks: ‘There is this one way, monks, for the purification of beings, for the overcoming of sorrows and griefs, for the going down of sufferings and miseries, for winning the right path, for realizing nibbana*, that is to say, the four applications of mindfulness. What are the four? ‘A monk fares along contemplating the body in the body, ardent, clearly conscious of it, mindful of it so as to control covetousness and dejection in the world; he fares along contemplating the feelings [The three feelings; of pleasure, pain and those that are neutral] in the feelings, the mind [Citta is mind or thought or consciousness] in the mind, and the mental objects in the mental objects, ardent, clearly conscious of them, mindful of them so as to control covetousness and dejection in the world. ‘ It is like a clever turner or turner’s apprentice who, making a long turn, comprehends, “I am making a long turn”; or when making a short turn comprehends, “I am making a short turn.” Even so does a monk who is breathing in a long breath comprehend, “I am breathing in a long breath”, etc. ‘In this way, monks, he fares along contemplating the body in the body internally, or he fares along contemplating the body in the body externally, or he fares along contemplating the body in the body internally and externally. Or he fares along contemplating origination-things in the body, or dissolution-things in the body, or origination-and-dissolution things in the body. Or, thinking, “There is the body,” his mindfulness is established precisely to the extent necessary just for knowledge, just for remembrance, and he fares along independently of and not grasping anything in the world. ‘And again, a monk, when he is walking, comprehends, “I am walking”; when he is standing still, comprehends, “I am standing still”; when he is sitting down, comprehends, “I am sitting down”; or when he is lying down, comprehends, “I am lying down.” So that however his body is disposed he comprehends that it is like that. ‘And again, a monk, when he is setting out or returning is one acting in a clearly conscious way; when he is looking in front or looking around, has bent in or stretched out his arm, is carrying his outer cloak, bowl and robe, is eating, drinking, chewing, tasting, obeying the calls of nature, walking, standing, sitting, asleep, awake, talking, or silent, he is one acting in a clearly conscious way. ‘ It is like a double-mouthed provision bag that is full of various kinds of grain such as hill-paddy, paddy, kidney beans, peas, sesamum, rice; and a keen-eyed man, pouring them out, were to reflect: “That’s hill-paddy, that’s paddy, that’s kidney beans, that’s peas, that’s sesamum, that’s rice.” Even so does a monk reflect on precisely this body itself, encased in skin and full of various impurities, from the soles of the feet up and from the crown of the head down. ‘And again, a monk reflects on this body according to how it is placed or disposed in respect of the elements, thinking, “In this body there is the element of extension, of cohesion, of heat, and of motion.” Monks, even as a skilled cattle-butcher or his apprentice, having slaughtered a cow, might sit displaying its carcase at a crossroads, so does a monk reflect on this body itself according to how it is placed or disposed in respect of the elements. ‘And again, a monk might see a skeleton with some flesh and blood, sinew-bound, or fleshless but blood-bespattered, sinew-bound, or without flesh and blood, sinew-bound, or the bones scattered here and there, no longer held together: here a bone of the hand, there a foot-bone, here a leg-bone, there a rib, here a hip-bone, there a backbone, here the skull. ‘And again, a monk might see a body thrown aside in a cemetery: the bones white like sea shells, a heap of dried up bones more than a year old, the bones gone rotten and reduced to powder. He focuses on this body itself, thinking, “This body, too, is of a similar nature, a similar constitution. It has not got past that state of things.” Thus he fares along contemplating the body in the body internally, externally, or internally and externally. Or he fares along contemplating origination-things in the body, or dissolution-things in the body, or origination-dissolution-things in the body. Or, thinking, “There is the body,” his mindfulness is established precisely to the extent necessary just for knowledge, just for remembrance, and he fares along independently of and not grasping anything in the world. 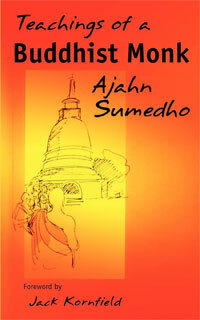 ‘How does a monk fare along contemplating the feelings in the feelings? While he is experiencing a pleasant feeling he comprehends, “I am experiencing a pleasant feeling”; while he is experiencing a painful feeling he comprehends, “I am experiencing a painful feeling”; while he is experiencing a feeling that is neither painful nor pleasant he comprehends, “I am experiencing a feeling that is neither painful nor pleasant.” While he is experiencing a pleasant feeling in regard to material things he comprehends, “I am experiencing a pleasant feeling in regard to material things”; while he is experiencing a pleasant feeling in regard to non-material things he comprehends, “I am experiencing a pleasant feeling in regard to non-material things.” While he is experiencing a painful feeling in regard to material and non-material things, and while he is experiencing a feeling that is neither painful nor pleasant in regard to material and non-material things he comprehends it as it is. Thus he fares along contemplating feelings in the feelings internally, externally, or internally and externally. Or he fares along contemplating origination-things in the feelings, or dissolution-things in the feelings, or origination-dissolution-things in the feelings. Or, thinking, “There is feeling,” his mindfulness is established precisely to the extent necessary just for knowledge, just for remembrance, and he fares along independently of and not grasping anything in the world. 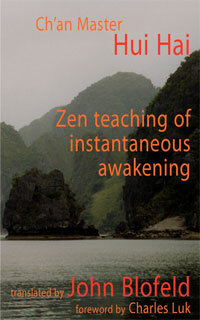 ‘ How does a monk fare along contemplating mind in the mind? A monk knows intuitively the mind with attachment as a mind with attachment; he knows intuitively the mind without attachment as a mind without attachment, the mind with hatred as a mind with hatred, the mind without hatred as a mind without hatred, the mind with confusion as a mind with confusion, the mind without confusion as a mind without confusion; he knows intuitively the mind that is contracted (The mind fallen into sloth and torper) as a mind that is contracted, the mind that is distracted (Accompanied by restlessness.) as a mind that is distracted, the mind that has become great as a mind that has become great, a mind that has not become great as a mind that has not become great, the mind with some other mental state superior to it as a mind with some other mental state superior to it, the mind with no other mental state superior to it as a mind with no other mental state superior to it, the mind that is composed as a mind that is composed, the mind that is not composed as a mind that is not composed; and he knows intuitively the mind that is freed as a mind that is freed, or the mind that is not freed as a mind that is not freed. Thus he fares along contemplating the mind in the mind internally, externally, or internally and externally. Or he fares along contemplating origination-things in the mind or dissolution-things in the mind, or origination-dissolution-things in the mind. Or thinking, “There is mind,” his mindfulness is established precisely to the extent necessary just for knowledge, just for remembrance, and he fares along independently of and not grasping anything in the world. 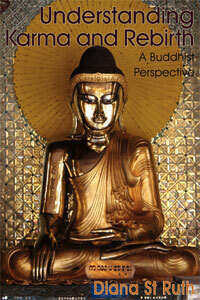 ‘And how does a monk fare along contemplating mental objects in mental objects? 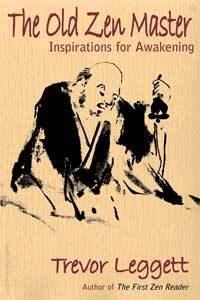 A monk fares along contemplating mental objects in mental objects from the point of view of the five hindrances. When a subjective desire for sense-pleasures is present, a monk comprehends that he has a subjective desire for sense-pleasures; or when a subjective desire for sense-pleasures is not present he comprehends that he has no subjective desire for sense-pleasures. And in so far as there comes to be an uprising of desire for sense-pleasures that had not arisen before, he comprehends that; and in so far as there comes to be a getting rid of desire for sense-pleasures that has arisen, he comprehends that. And in so far as there comes to be no future uprising of desire for the sense-pleasures that has been got rid of, he comprehends that. The same with ill-will, sloth and torpor, restlessness and worry, and doubt. It is thus that he fares along contemplating mental objects in mental objects internally, externally, or internally and externally. Or he fares along contemplating origination-things in mental objects, or dissolution-things in mental objects, or origination-things and dissolution-things in mental objects. Or, thinking, “There are mental objects,” his mindfulness is established precisely to the extent necessary just for knowledge, just for remembrance, and he fares along independently of and not grasping anything in the world. It is thus that a monk fares along contemplating mental objects in mental objects from the point of view of the five hindrances. ‘And again, a monk fares along contemplating mental objects in mental objects from the point of view of the six internal-external sense-bases. A monk comprehends the eye and material shapes, and the fetter that arises dependent on both. He comprehends the uprising of the fetter not arisen before, the getting rid of the fetter that has arisen, and the non-uprising in the future of the fetter that has been got rid of. The same with the ear and sounds, the nose and smells, the tongue and flavours, the body and tactile objects, and the mind and mental objects. ‘And again, a monk fares along contemplating mental objects in mental objects from the point of view of the seven links in awakening. When the link in awakening that is mindfulness is present internally he comprehends that he has mindfulness; when the link in awakening that is mindfulness is not internally present he comprehends that he has no mindfulness. And in so far as there is an uprising of the link in awakening that is mindfulness that had not uprisen before, he comprehends that; and in so far as there is completion by the mental development of the uprisen link in awakening that is mindfulness, he comprehends that. The same with the link in awakening that is investigation of mental objects, and with the link in awakening that is energy, rapture, serenity, concentration and equanimity. ‘And again, a monk fares along contemplating mental objects in mental objects from the point of view of the four ariyan [noble] truths. A monk comprehends as it really is, “This is anguish; this is the arising of anguish; this is the stopping of anguish; this is the course leading to the stopping of anguish.” It is thus that he fares along contemplating mental objects in mental objects internally, externally, or internally and externally. Or he fares along contemplating origination-things in mental objects, or dissolution-things in mental objects, or origination-things and dissolution-things in mental objects. Or, thinking, “There are mental objects,” his mindfulness is established precisely to the extent necessary just for knowledge, just for remembrance, and he fares along independently of and not grasping anything in the world. ‘Whoever should develop these four applications of mindfulness for seven years, one of two fruits is to be expected: either profound knowledge here-now or, if there is any residuum remaining, the state of non-returning. Monks, let be the seven years. Whoever should develop these four applications of mindfulness for six, five, four, three, two, or for one year, one of two fruits is to be expected: either profound knowledge here-now or, if there is any residuum remaining, the state of non-returning. Monks, let be the one year. Whoever should develop these four applications of mindfulness for seven months, or for six, five, four, three, two months, for one month, or for half a month, one of two fruits is to be expected: either profound knowledge here-now or, if there is any residuum remaining, the state of non-returning. Monks, let be the half month. Whoever should develop these four applications of mindfulness for seven days, one of two fruits is to be expected: either profound knowledge here-now or, if there is any residuum remaining, the state of non-returning. An abridged version of the Satipatthanasutta taken from Volume I of The Middle Length Sayings (Majjhima-Nikaya) translated from the Pali by I.B. Horner MA. Vedanasu Vedananupassi… citte cittanupassi… dhammesu dhammanupassi viharati = “He lives contemplating feeling in the feelings… the consciousness in consciousness… mental object in mental objects.” Here the repetition of “feelings,” “consciousness” and “mental objects” should be understood according to the reasons given for the repetition of the word “body” in body-contemplation.